A concept is emerging of using banks for recording the feelings and emotions of the people in Whangarei, in the Kiwi land or better known as the New Zealand. It is an ATM-like mood machine that does this incredible feat. It is providing to the mapping and visualization of urban sentiment over the nation. It is much different than the cash transactions, and money transfer gets conducted in the banks. The MoodBank ‘thought transacts” in well-being rather than money. Defined as a response to standard dialogue on metropolitan growth, measured through financial means. In the method of designing the project, some cases proved that they are concentrating on the importance of sentiment was both appropriate and meaningful. This new concept furthers to ascertain the city’s overall mood. People can deposit their state of mind or the feeling. The originator of the mood bank Vanessa Crowe says the anger in the populace, the world over is increasing day by day. The enhancement is due to increase in workload and the pressure in social life. The primary purpose of the moodbank is to know the state of mind of the public. People can deposit in the moodbank their anger, love, and whatever is going on in their thoughts. The customers can even let out their frustrations. The data of people can aid in the research of how to remain in a good mood. The moodbank makes it easier to determine the state of mind of the people and of course, the nation. According to Vannessa, there is a tremendous response to the ATM-like machine in use. Thousands of people have used this moodbank ATM. She says that the idea of Moodbank is getting fashionable, and more machines will be installed in other cities as well. The bank is well known and much in discussion and an innovative topic of the social media. Ordinary people are excited to open their account in the Moodbank. People say they have a store of happiness and sorrow feelings in their moodbank account. If efforts get made then, they can credit their happiness and sadness in a deposit account. Vannessa says in general men and women have begun to behave like a machine without any human feelings and this bank is a step in the right direction to make them feel human again. The project’s aim is to turn people into how the modern devices can inspire people to express their emotions. The spokesperson of the bank Ash Holwell says people will have to understand that aim of the life is not only to earn money, but there are other things to do, like helping and care for the needy and their well-being. Holwell added saying the machine will also be a “fun and light” way to get citizens speaking about their reaction toward the local elections in October. The originator has much to explain about the concept, as how and why she followed her design. She says that by knowing the feelings of what is the experience in everything we go through. Like after the chore of cleaning the house or anything can be an uplifting or it may turn to be torturous feeling. People began reading more about emotion and cultural contexts, as well as observing how the mood got created in city environments. They looked at how attitudes were established through aesthetics in banks, watching the conventions and processes of exchange. The moodbank wanted to give the feeling of both modern customer experience as well as taking them outside of that culture to further thought. One of the aims of the Moodbank would be to develop and make people believe about the commodification of sentiment that was occurring in both physical and digital contexts. The plan had started from a visible image of mood data to preparing a bank with all its amenities. It appeared on originators that they would need to interact with many people to make the plan viable. In Whangarei City, New Zealand now features an ATM-like terminal that asks people about their feelings instead of dispensing money. 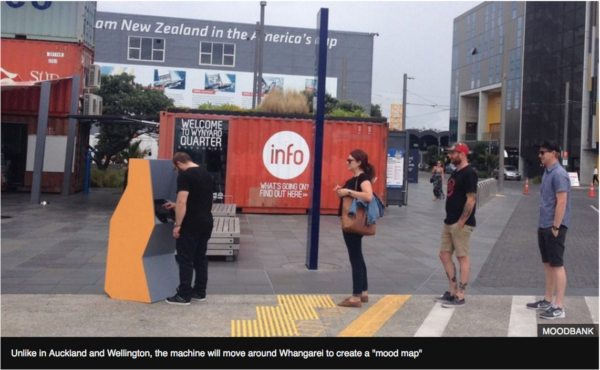 The portable device has been placed in Whangarei as a section of an art project called Moodbank, after earlier assignments in different towns. It has a touch screen that enables passers-by to choose from more than 1,000 titles and combines them to define their present state of mind. The provincial daily paper ‘Northern Advocate’ states. The “deposits” are then collected to give updates on the city’s heartfelt position on the project’s website. The project is the brainchild of artist Vanessa Crowe, who first placed it in a former bank in the capital Wellington, saying she wanted to explore the role of machines in sharing feelings and experiences. It’s also allocated time in Auckland, and has now got brought to Whangarei by a local initiative focused on community engagement, Together Tahi. Earlier works have shown that value of emotions ultimately drives the economic relations of big and small organizations alike. Emotions do influence economic behavior and finally the economic ties. The group’s spokesman, Ash Holwell, further adds that the aim is to focus on people’s well-being rather than money and economic growth. “So, it is how we’re feeling like as a city a valid conversation to be having?” he tells the paper. BNZ bank in New Zealand had realized that and started to have the face-mapping technology to foretell economic performance according to the emotional acknowledgment of their customers. On-line or in branch clients were asked to guess about their expectation and answer to different lifestyle situations. Whether selling the device or worse spy-like software, the BNZ EmotionScan proved why it was so necessary to consider upon the commodification of sentiment. Affective capitalism changes us into assets, goods and services by attracting to our aspirations, demands, and cultural link, or by making us act on a small gut-feeling. 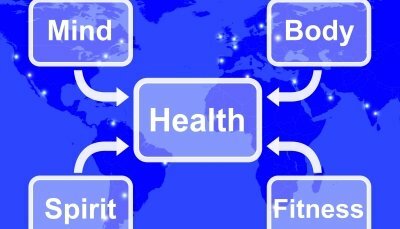 Emotional wellbeing of the Business Owners is sure sign of their greater efficiency, and emotional desires of consumers have been seen as the keys to getting promotion of the goods or business. 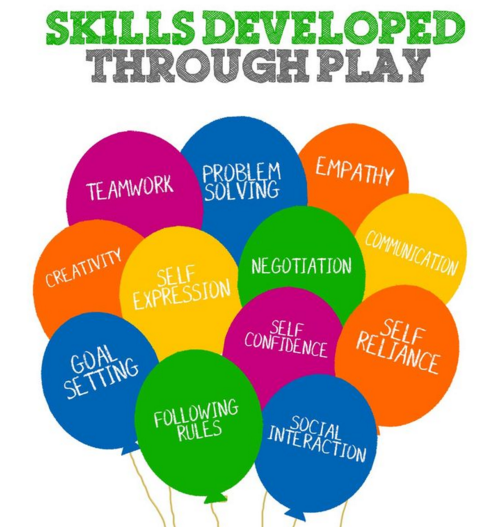 A lot of research has got carried out on this aspect. In New Zealand, a study at the University of Canterbury attempts to measure ‘Gross National Happiness’ instead of ‘Gross Domestic Product’ (University of Canterbury, 2013). Monetary interest in sentiment is by no means unusual. The methods and technologies involved in creating and managing emotion are advancing, and the dialogue of feeling and emotion as money is maturing ever more widespread. We are in times where emotions will guide all the businesses and commercial activities. When asked how the scheme got modified from a bank, some suggested how the encounter was different because it was not centered on developing certain conditions or building personal motives, but about the variety of perceptions that people had at a particular time. It seemed to be a refreshing experience in the context of consumer culture in which there is a constant attempt to create, mould and manage our emotions. At the identical time, I understand that it was also our use of the conventions of consumer culture that made the Moodbank a success. Whether we like it or not, purchasing and investment is some of the most fundamental ways in which we contract with the world. Companies continually strive to catch our notice with seductively created spaces, fittings, and signage; and we are now familiar with deposits slips, teller’s desks, leaflets, clothes, and queues. Making a believable bank:“The Moodbank is much alike as any other bank, has a comparable range of services, but their money is dealing in the mood, not cash or a check.” Mood Machine got designed with standard appearances of cash machines, angular with rounded edges to indicate reliable conditions and trustworthiness, but they also wanted to make the device seem friendly like an ATM. From its front look and opened at the rear so that customer can see it working like a computer. The machine has look and feel of a wooden panel. The makers have successfully launched it in several places. The moods chosen by an individual got mapped onto a face similar to the facial mapping technology that got used by BNZ that got published as a conditioning mask. Place of Operation while inaugurating Wellington Branch of the Moodbank: They operator got presented the keys to the former ASB Bank, a large unoccupied area with access to both Victoria and Manners St. It is well known and a very busy place and a crossing spot. It got chosen in Wellington where other commercial activities get carried out. The location had much to offer like at the confluence of business activity in the downtown. A broad variety of personage is quickly zigzagging their way in the central business district to the area of activity, recreation, eating, and a residents’ colony just next door. Our aim was to make the collective mood of the city noticeable while presenting a cultural rather than a commercial form of exchange. Our work was successful with over 2000 analogue deposits made in the ten days of opening and over 4000 sentiments placed via our ATM-stylee Moodmachine and online banking aid. The bank proved as an analogue friendly, and familiar social place all could drop in, blurt out their feelings in a written format, a platform which broke away from and got into new ways to express themselves. It proved to bring a new way to reflect on hidden emotions and share with unknown guests sitting there. The elaborate ways to state and record human feelings got practised and improve ‘connectivity’ pushed with the advent of the of the new technology. Through this system, there appears to be a relationship between technology facilitating new kind of online active transfer and notice understanding how people are thinking is of value. Over the years in the Moodbank, the observation got evident that from commercial banking to social media discovering out how people are thinking was becoming of increasing substance and matter, especially as technology developed new means to do so. Caller figures improved towards the end of the pilot project as news of our presence spread through user posts on sites. The numbers of people using our mood machines increased by the end of the promotion drive as they used Twitter, Instagram, Pinterest, Tumblr & Facebook. One Tumblr post got shared and liked 572 times. It was thrilling to see an additional extension of Moodbank exchange instigated wholly by users; it proved that the Moodbank had happily hybridized a real and digital presence. Moodbank has something special to offer; one feels that there is real work getting carried over in the time spent. One feels that something real is getting achieved online. There is a human feeling when viewing the pencilled promotional material and interface design. The letter size and color are impressive and appealing to sense. Likewise, it is refreshing to note that the flow between digital and physical goes both ways. The new aesthetics of digital world are finding their ways into the physical world. Recording examples of pixelation being an ornamental innovation in design while logos and icons produced for digital interfaces that are a ubiquitous part of our online experience are now commonly used in real space to visually convey ideas immediately. Online method of liking and sharing makes life more meaningful and joyful, you do away of wasting time, that got used elsewhere. To know what is happening to the moods of people or the society is prices part of emerging digital and physical space. “It ‘s hard to guess or determine how the people would respond any new idea and in this case Moodbank. On opening the moodbank and with volunteers waiting to explain – it was encouraging that acknowledgment remained great with the variety of highly productive ways. The drive for people made them express freely without any pushing. As one participant felt and said the moodbank by providing the atmosphere of remaining free without any strings to show as to how one felt. Moodbank does not require one to be a stereotype, all they want as to how you felt when you dropped in. On completion of ten days about 2000 sheets were collected and learnt, there were 1016 moods expressed. The conclusion led them to another city of Auckland where the project would engage itself with Aotearoa Digital Arts Symposium and Auckland City Council and other artists who work with social engagement. The moodbank got well received for its role and participate in devising new methods and ways of creating around how to join actively with and grow communities within the urban environment. 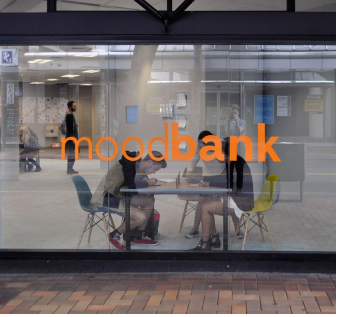 Our vision for Moodbank is that, as occasions occur, it resumes to employ with the urban population in ways that produce and facilitate a significant change where people’s individual backgrounds are recognized and appreciated. Here underneath are two videos links for the more one to one info on the mood bank. You See How the Eyes Sparkled as Wrong Notion Faded.